Two of the more thought provoking and critically adored PSN games that hit the PlayStation 3 are set to make the generational jump to the PlayStation 4. Those games, as the headline of this story clearly indicates, are The Unfinished Swan and Journey. 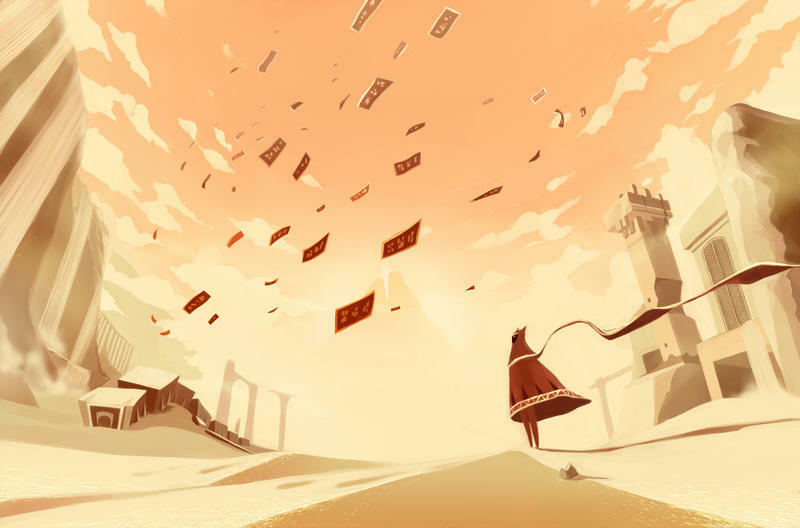 Then, the PlayStation Blog played host to words from Journey developer thatgamecompany's Jenovah Chen and The Unfinished Swan developer Giant Sparrow's Ian Dallas. Thanks to the heartfelt efforts of fellow developers Tricky Pixels, players new and old alike will share in the beloved Journey experience in visually stunning 1080p. More details about Journey's release on PlayStation 4 are in the works for future announcement. The posts did not include news about retroactive Cross-Buy. With Flower and fl0w, two games from thatgamecompany that made the generational jump to the PlayStation 4, owning the PS3 versions of both got players free access on the PS4. Get more for your money with Cross-Buy – purchase this game for PlayStation 3 or PlayStation 4 and get the other version at no extra cost. We hope that applies internationally and to both The Unfinished Swan and Journey. We'll have more on both titles as it comes.